We at the CSN Dundas Valley Collision know that today's customers expect more than just an excellent repair to their vehicle. So we offer a truly comprehensive and complete auto body repair service, making us the best collision service company in Hamilton and the surrounding areas. We offer state of the art technology in our 11,000 sq. foot repair facility. Our experienced technicians are able to resource a vehicle to factory specifications. Some Added Perks . . . In addition to free estimates, a lifetime warranty on auto body repair and very competitive rates, we provide extra complementary services such as interior and exterior vehicle cleaning, and fluid top up – plus, pick-up and delivery service of your vehicle. Our clean, environmentally safe paint preparation stations and paint booth utilize new Waterborne environmental technology. In addition, we offer our customers The Lifetime PPG Paint Performance Guarantee – Good as long as you own the vehicle. 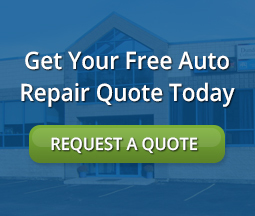 Come visit us at our auto body repair shop for the best collision repair services in the Hamilton, Dundas, Ancaster and area. We also offer windshield repair, windshield replacement and auto paint repair to our valued customers.